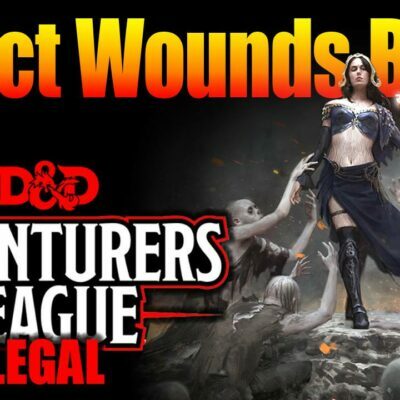 Normally I don’t like third party content, especially for fifth edition Dungeons & Dragons, but this week I found something not only amazingly well made, but well balanced for the most part. Specifically I found the Dark Arts Player’s Companion presented by Jonoman3000. This product for D&D, found here, is something that hits a special place in my heart. Specifically I have always loved the likes of Blade, Spawn, and Ghost Rider who meet the darkness head on with its own weapons in hand. So, if thee be not afraid, come and join me in the dark side with the Dark Arts Player’s Companion. 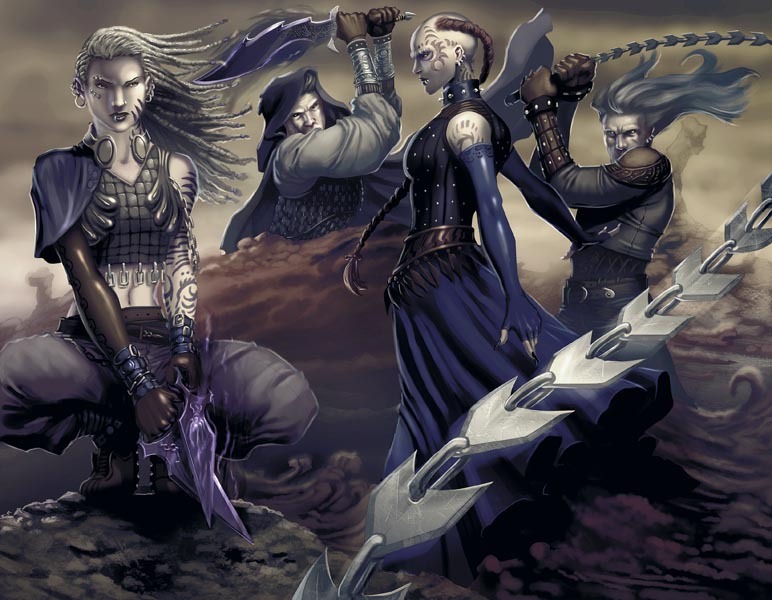 The Dark Arts Player’s Companion presents three new races, two of which are undead. These can be great options for a variety of reasons. Here is my opinion of the races presented here. Mummy: Are you my mummy? Sorry, couldn’t resist the Dr. Who reference. Nonetheless, these undead monstrosities are a great option for a tank or melee type. With their bonus to Strength and Constitution, darkvision, unarmed attack, and a fear attack they can be used for a multitude of campaigns. I especially would like to see them used in a Plane Shift: Amonkhet campaign. Though the fact they count as undead would have to be accounted for. All in all, I think they are well done. If I had to change anything, I would have the rotting fist attack be similar to chill touch in how it impedes healing. Wight: Well if you want to be wrong you gotta be wight. Ha, bad puns aside, you can play this denizen of the darkness. 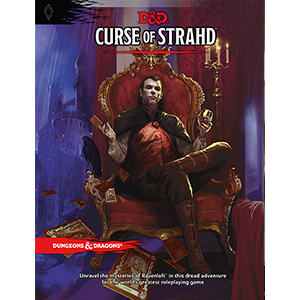 Its bonus to constitution and charisma make it an amazing sorcerer, especially the Shadow Sorcerer. I could see Richard from Looking For Group being one of these. I am not a huge fan of the zombie-creating life drain but otherwise it is amazing. Do note it is not only undead but light sensitive. Even so, this Dark Arts Player’s Companion option is a truly interesting choice. Shadar-kai: Here it is, the race I have mentioned in a few articles, the beings from the Shadowfell who were once humans like you and I. These death-obsessed zealots of the Raven Queen are an amazing addition to the game. With their superior darkvision, rogue-like abilities and skills, and their racial teleport they make an amusing option for a multitude of classes. Please note, they are the only race I have seen that has superior darkvision without light sensitivity. This does work with their established canon and history too, so I have no complaints. Easily the standout race of the Dark Arts Player’s Companion. Path of Blood: This is one of the few things in this book that irks me. The Path of Blood is all about binding your barbarian to a particular monster and playing a game of shot-for-shot. 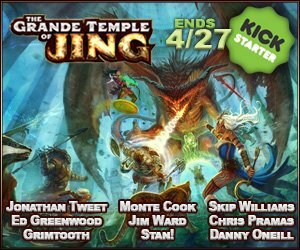 This is generally not a great idea, and there are blatantly better options to deal out a buttkicking for the barbarian. I say this mainly because they take damage when the enemy is damaged too. You damage them but damage yourself. They damage you but damage themselves. Lather at the mouth, rinse, and repeat. Blah! Dark Arts Player’s Companion, you could have done better. College of Shadowfell: Okay, this one is cool. I like to think of it as a ranger version of the College of Valor. With this you can swing weapons like the best of them but more than anything you can haste the entire party and allow them to move around freely. Plus the whole ability to turn into shadows is pretty darn nifty. Night Domain: This option from the Dark Arts Player’s Companion allows your cleric to do many things. Frankly it struck me as a cross between the trickery domain and the light domain. It is a good balance between buffs, damage, and stealth. What is interesting is it has a few anti-stealth abilities too. Well done Dark Arts Players Companion! Circle of Twilight: This option is an amazing thing to bring to your druid. It’s a bit brutal in the fact it can make use of fresh corpses, but the trade off is these druids become masters of rituals. Not just druidic rituals, but all rituals from every single class! Seriously, these druids add flavor and versatility to an amazing class. Blood Knight: This fighter option is kinda the definition of the Dark Arts Player’s Companion motif. This is a bit like a warlock version of the Eldritch Knight option. They get spells, specifically the hemomancy spells this PDF provides. Like the warlock, they get spells back at the end of a short rest. They also get special dice, similar to the superiority dice of the Battle Master, though different and weaker. The dice are d4s and can only be used to enhance damage or to heal the blood knight. This may not seem like much, but it can be used to offset the health costs of the hemomancy spells, which hurt the caster along with their effects. The blood rush and their tracking abilities make them a nightmare on the battle field. I would love to see these used with the vampire race from Plane Shift: Zendikar. This is easily my one of my favorite parts of this series. Way of the Bloodied Fist: This monk tradition is… okay can I just call this a blood bender? Seriously, Jonoman3000 gave me something I didn’t know I wanted. I love the Avatar series, and have always loved water bending from that. When blood benders, martial artists who control the very blood within others, made their appearance I began dreaming of getting them into my games. I just never thought it was possible. Yet, Jonoman3000 brought this to life in the Dark Arts Player’s Companion. It’s like a hemomancy version of the Way of Five Elements, this class option is versatile and powerful. I do want to point out that until you get transfusion ability, you run the risk of killing yourself with the sacrifice of your blood. Oath of the Grave: The Dark Arts Player’s Companion is slightly nuanced in that the paladin option is not such a bad guy. These followers of the Raven Queen are like a marut, in that they seek to annihilate all undead. Life is for the living, death is dead, and anyone who seeks to delay moving from one to the other upsets the cycle of life and death. This entire class does the job of putting undead down well, and makes the entire party better at putting undead down. Not the most powerful paladin, but a very diverse one. Nightstalker: This ranger option is kind of a half way point between the Deep Stalker and the Beast Master. You summon a creature made of night and hunt alongside you. Frankly, I think this needs some revision and that would not be hard to do. Specifically make the shadow companion work the way the revised beast companion does. I just don’t like the idea of a separate creature using up my actions. If that gets fixed, this could be a very viable option. Nonetheless, the companion can attack. Shadow: The shadow? The shadow! The shadow… Alrighty, I had to get The Gamer’s reference out of my system. Nonetheless, this is a wicked class option. 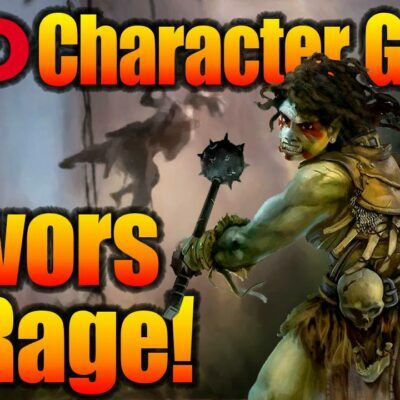 I want to play this with the shadar-kai race, I want to play it something fierce. 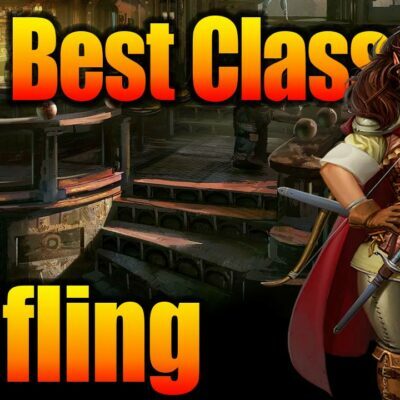 This class can create duplicates of itself, cast a bit of umbramancy (another type of magic presented here, sorta), use the Help action on itself, and even can stealth better than anyone in the game. My favorite feature is its ability to switch places with your duplicate like Umbra from Overwatch. Deathtouched: This sorcerous origin is an interesting one in that it links you to the dead and necromancy. From speaking to the dead, to taking control of beings through possession, this class brings necromancy to the sorcerer. With high Charisma you can put the romance into necromance. Vampiric Bloodline: This sorcerous option from the Dark Arts Player’s Companion is an interesting one. In some ways this option allows a tanking type of sorcerer. From the psuedo regeneration, to the vampiric slam, shape changing, and the misty form you truly do become a vampire alongside the usual sorcerer options. Archlich Patron: The warlock can bond themselves to a great being of the undead for their powers, the Archlich (also presented in the Dark Arts Player’s Companion.) The Archlich warlock is capable of binding themselves forcefully to another creature. Making that creature suffer as you drain its life to replenish your own, and making it share all wounds you take, this warlock patron is nasty as hell. Pact of the Cloak: This warlock Pact Boon allows you to choose an element and gain damage reduction against it as a reaction. Warlock invocations: There are several new eldritch invocations, many of which are made to enhance the cloak pact boon. The interesting ones allow you to bring a bit of umbramancy and hemomancy to bear. Really these bring a lot of diversity to the warlock. School of Reawakening: GOTTA CATCH EM ALL!!! Seriously, this is Pokemon brought to D&D. You literally catch the soul of the monsters you defeat, and get to release them to fight and serve your needs. Tarrasque, I choose you! Tarrasque uses 300 foot monster! It’s super effective! Okay so you can’t capture something that big, but still. This has to be the joke class of the Dark Arts Player’s Companion, though it is totally viable as a class option. School of Hemomancy: This option is literally the bees bloody knees when it comes to the new spell type known as hemomancy. I find this a very strong option in that they grant themselves temporary hit points whenever they cast a hemomancy spell, and thus mitigate the health cost. They also get extra damage against creatures below half life, and can at will exchange health to cast spells instead of spell slots. A very strong class option for the wizard to be sure. There are two new types of magic in the Dark Arts Player’s Companion. Though regular spells do make an appearance, these would not be the reason we are here, would they? Umbramancy: These are not so much a school, as a theme of magic found here. The majority have things to do with stealth, concealment, and deception. Many of these abilities counter or are countered by bright light. Mechanically they are not that different than any other spell type, though they tend to be of the illusion school. Hemomancy: Oh lordy. These are nasty. And amazing. They are a combination of blood-themed necromancy and transmutation spells. Through the expenditure of variable amounts of hit points (caster’s choice how many, with the max being set by the spell level) you can enhance the power of these spells to amazing levels of power. Some of these are so nasty they draw blood not just from you, but from every single corpse or body around you. Expect some truly impressive effects, if you are willing to burn the blood in doing so. Cleric, druid, paladin, wizard, and sorcerer all have access to some of these spells. 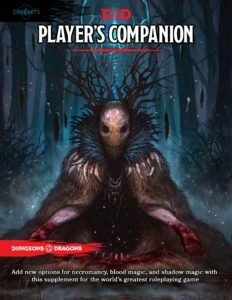 The Dark Arts Player’s Companion has an entire section of monsters. The highlight of which is the near deific in its power Archlich. Though I do love the Gothic theme at all CRs within the game. From bloody beasts, to zombie dragons, and all the things between. Seriously though, some of these creatures look like a Tzimisce’s handiwork or something out of Hellraiser. I promise this is a section worth looking through, you won’t be disappointed. Especially the ghost pirates, because everything is better with pirates. That is my run down on the Dark Arts Player’s Companion by Jonoman3000. I think it’s an amazing product. In fact, I would dare say I give my group blatant permission to use this product. Anyway, if Jonoman3000 ever observes this, you did a great job and I thank you. Nonetheless I would love to hear you all’s opinion on this product. I hope I stirred up some interest for you all. Take it easy, next week I will be reviewing another 3rd party D&D product I fell in love with. Play on PS4 or PS3? 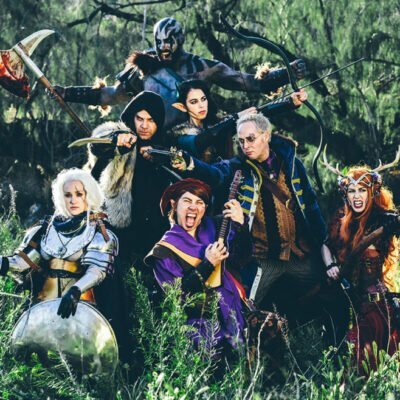 Did you know Nerdarchy has a community that plays together often? Go ahead and search in the community section for Nerdarchy and for the player Nubz_The_Zombie! Game of Thrones: just how depraved could Euron Greyjoy get and how bad is he in the books? 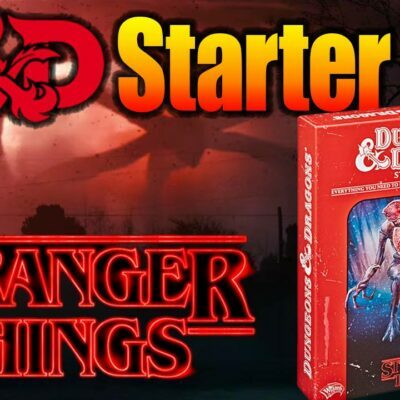 Multi-Class Character Builds in Dungeons & Dragons 5e Wrap up with the Wizard!